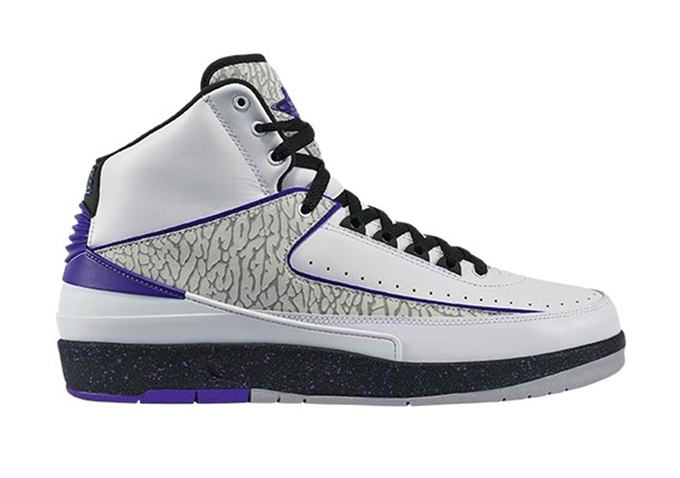 Jordan Brand is set to release a new colorway of the Air Jordan 2 Retro this weekend – the White/Black-Dark Concord colorway, which is dubbed as the “Concord” edition of the shoe. The Air Jordan 2 Retro “Concord” features a white-based leather upper part along with an elephant print wrapped around the side panels. This shoe also has a dark concord lining and logo along with a black midsole and white outsole. The newest colorway of this popular retro sneaker will be available on Saturday, May 10, and will sell at $150 per pair in select Jordan Brand stores worldwide.